ROMAC provides medical treatment for children, under the age of 15, from developing countries in the form of life saving and dignity restoring surgeries not available in their home country. Five months old Timorese baby Gelina arrived with her mother Marcelina with a complex heart problem and was immediately admitted to Brisbane's Mater Children's Hospital. Tests were carried out under the guidance of Dr Rob Justo and surgery was commenced soon after. Gelina spent a night in Paediatric Intensive Care and the next day was off all supports and back in a ward by mid morning. Her improvement was noticeable daily. Gelina was not baptised and a strong request for this to be done came from Marcelina. Nothing is impossible for the ROMAC team and, that day, a baptism was organized at the Mater. Instantly we had a more comfortable Marcelina. 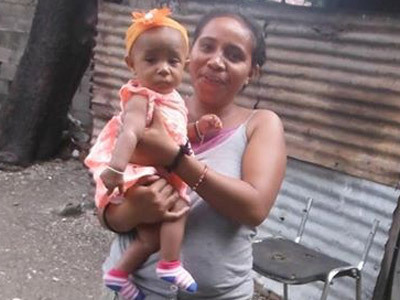 After her period of recuperation baby Gelina was released to return home to Dili.